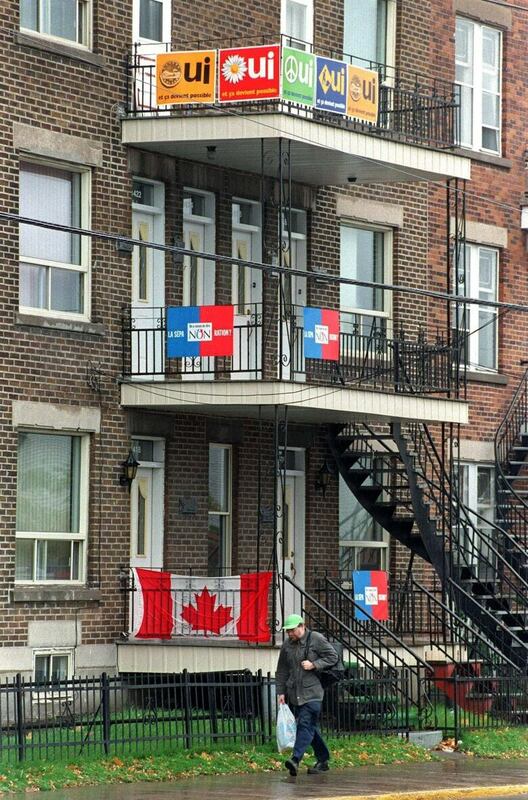 On Oct. 1, 1995, the campaign for the future of Quebec officially kicks off. Quebecers head to the polls today to vote on their future, and change could well be in the cards. But in 1995, the results of a Quebec vote had stakes much higher than a possible change in governing party: it had the potential to end in the province's sovereignty from Canada. On Oct. 1 that year, then-Premier Jacques Parizeau launched the referendum campaign by gathering some of his cabinet ministers to sign the campaign writ. 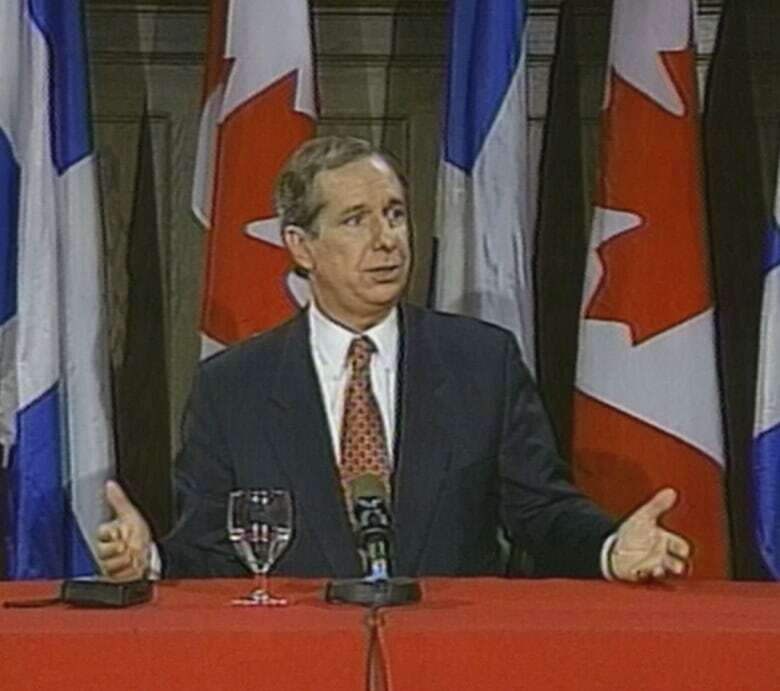 It declared that a referendum on the independence of Quebec was to be held on Oct. 30, 1995. "I think we'll make it," Parizeau told journalists after the document was signed. "I think we'll have a country very soon, and yes, it is exciting." 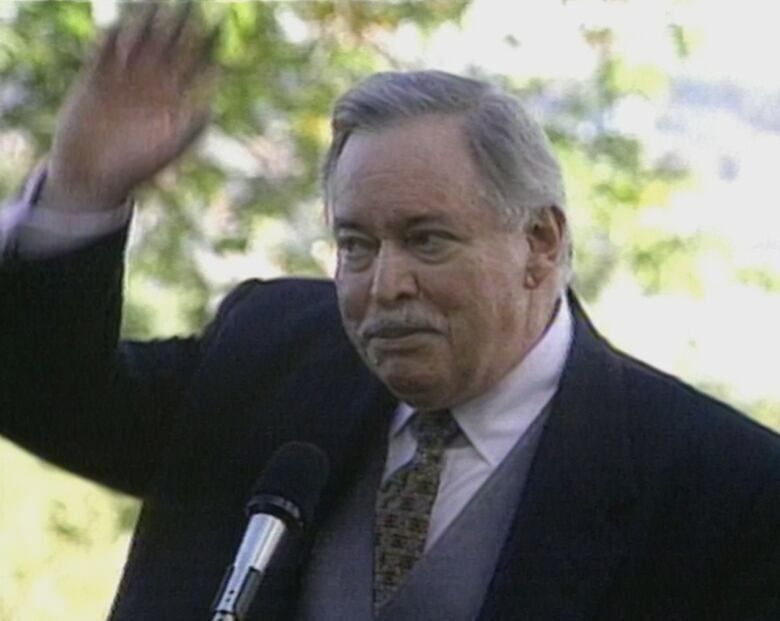 Parizeau, leader of the separatist Parti Québécois, had been elected a year earlier on a platform of Quebec sovereignty. The referendum had already been in the works for months and the 43-word question had been hammered out. "Vote Yes and you can tell your grandchildren you took the right decision for Quebec," said Parizeau that night in a televised address. His opponent and head of the No campaign was Daniel Johnson, the province's Liberal leader. "We have to provide Quebecers with more information," he said on the first day of the campaign. "The more people know, the more people vote No." He described Parizeau's vision as a "gigantic joke." In his own televised address, Johnson urged Quebecers to reject what he called Parizeau's negative vision. "We haven't been oppressed or exploited," he said. "We helped build this country, and without Quebec, Canada will no longer exist." When the ballots were counted after a passionately fought campaign, the No side won with of 50.58 per cent of the vote. Quebec's constitutional gambit: What's the point?